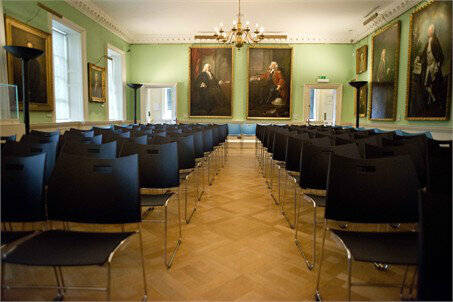 When the Foundling museum approached us to assist in the replacement of their current multipurpose seating system we were given a brief with very specific attributes relating to the site, function and budget. The museum hosts several kind’s events in a number of flexible spaces throughout the building. The following process involved sourcing a large number of samples for lengthy on site testing prior to the final procurement. The product that fitted the best was the Carver chair from our friends at Casala. This modern stacking chair was perfect in terms of size, stacking density, linking functionality and budget. The Carver chairs not only look good but they are easy to move around and reconfigure to suit the museum's daily activities. We stress to clients that furniture is one of the most important investments they can make. Getting the right quality product that fits their brief and budget, whilst helping to create an environment that reflects their company and their staff is our aim.